Less than a century ago, every household relied on small plots in their backyard to grow food and vegetables they needed. However, with the increase in population, urbanization and industrialized commercial agricultural practices, the land available for growing food has shrunk significantly. People have given up on growing food on large pieces of lands due to the scarcity of space and because of the modern era of cheap, fast and convenient agriculture and gardening as a method of providing themselves with efficiently-grown, nutritious food. Vegetables and fruits are now confined to the walls of fabric bags, boxes, and cans. Vegetable grows bags were traditionally were adopted as an alternative to planting veggies directly into the greenhouse soil. 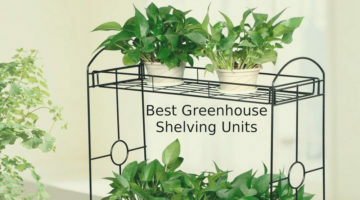 Today, they are still ideal for gardening and usage in greenhouses, but can also be used outdoors in sunny spots. One of the most significant benefits of grow bags is that they can be utilized all through the year. As well as when using plant grow bags there is less chance that your vegetables will become infected by soil-borne diseases. Grow bags are ideal for growing vegetables which do not have deep roots, such as eggplant, tomatoes, sweet peppers, potatoes, cucumbers, and chili peppers. They are also a perfect choice if you lack space for an in-ground garden because these bags can be easily arranged along with your deck or other outdoors or indoors space, including your porch or on your window sills. They can even be used as hanging fabric vegetable bags in places that receive sufficient sunlight. And these plantation bags are great for when the quality of the soil is not good since they can be used as both a plant growing option and as well as treatment. In this article, we are going to help our readers find the best grow bags that will meet their individual requirements. The purpose of the article is to introduce you to all the best-seller grow bags. And by helping you to choose your grow bags, we can ensure that you purchase great quality fabric aeration containers, which, in combination with premium organic nutrients, surplus sunlight and adequate ventilation, will help you achieve large and healthy yields. 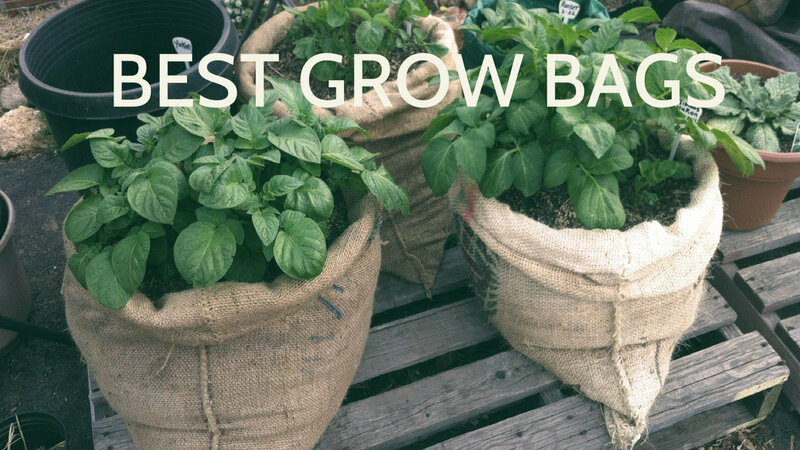 These grow bags are durable and can hold up to 10 gallons of soil mix each. Aeration holes in the bag ensure that the plant roots get enough nutrients and oxygen to breathe and thrive. The window in this potato bag helps to keep an eye on the soil and the roots of the vegetables as they grow. As well as to ward off bugs and rotting. 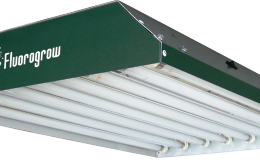 Unlike other grow bags, this product has good drainage holes to drain excess water. Also, holes in the bottom and on the sides of the grow bag to ensure proper ventilation and aeration which allows proper pruning of the plant roots. These grow bags also will eliminate the risk of root circling, alleviate the risk of transplant shock and address several soil requirements for different plants. They can definitely be considered best grow bags, because they are suitable for most plants, even if you are thinking of growing different vegetables at the same time. The potato bag has a decent room to create a stable environment for growing flowers and vegetables. The sturdy handles make it easy and convenient to move the bag around. And these vegetable planter bags are amazing to plant, grow and harvest multiple different vegetables like potatoes, tomatoes, onions, carrot, turnip, and radish. Soft-sided grows bags for sale offer aeration and augmented root structure, resulting in strong and healthy plants. Air root pruning causes plants to subdivide and grow feeder roots, increasing the plant’s potential to absorb water and nutrients while maximizing growth and overall plant well-being. Though these bags don’t have drainage holes, the fabric they are made from drains perfectly well. The sturdiness of the bag makes it stand on its own without flopping all over the place when you are adding soil to it. And finally, since the grow bags are manufactured out of the same material that weed mats are made from – felt, this prevents roots from growing out of the bottom or sides of the bag. Making this plant growing bag the perfect product to use to grow tomatoes in, hence why it’s often called a tomato planter bag. Air flows right through them, so you will need to watch moisture levels carefully when using this GardenMate bag. 247Garden’s 5-gallon aeration fabric pots blend the convenience of using a conventional nursery pot with the advantages of using a breathable planter bag. By planting your crops in this fabric pot you will ensure that the roots of your favorite veggies remain cool and have ample space to grow. 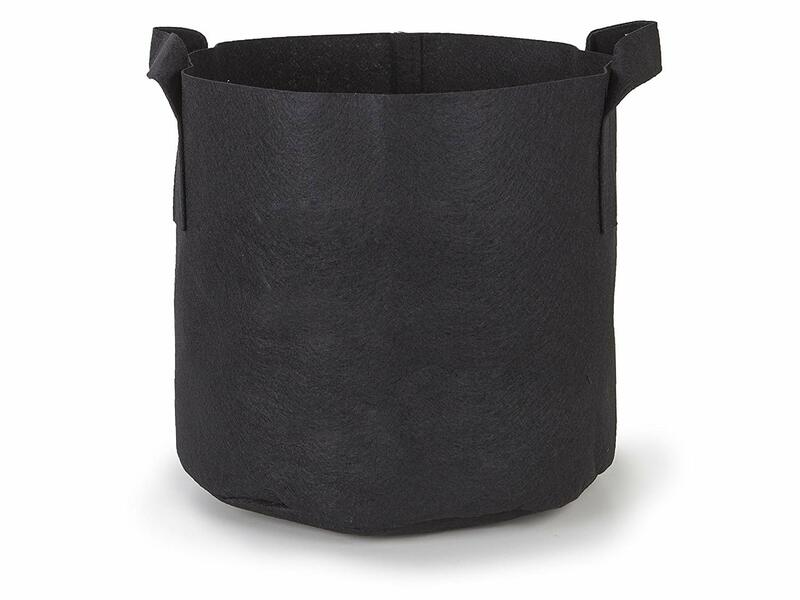 Manufactured and created from non-woven, BPA-free and the eco-friendly material felt planter bags are sturdy and will eliminate the risk of root circling. Additionally, they also offer swift growth and bigger yields, since these grow bags enhance root structure, alleviate the risk of transplant shock as well as offer better utilization of water and nutrients for healthier, bigger plants. These are amazing bags for the value. A wide bottom offers roots expansion room and it is very stable. The handles appear sturdy which makes these bags a breeze to lift. The fabric holds in water long enough for nutrients to do their job. However, these bags dry out much faster in comparison to the top products in the grow bags category mentioned above. 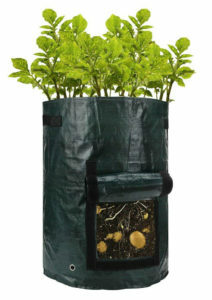 The size of this grow bag is just right for growing potatoes or those root plants which need deeper space. The sewing is durable. These bags also have an easy access flap that eliminates the need to remove the soil to harvest your veggies. However, due to the heavy plastic material that these bags are made out of they do not offer any drainage besides the three drainage holes at the bottom of the bag. These grow bags are easy to set up and use. The bags come with a plastic hoop for maximum stability. The bags are also excellent for all kinds of yard chores, for example, old grass and leave collecting and storing purposes. While some of the drawbacks associated with these grow bags can be easily punctured by sharper branches or thorns. The Vivosun grow bags are made out of soil-friendly and UV resistant fabric. They have awesome mobility which makes it easy to move them around. Sewing of the bad is durable and the bags have reinforced handles. Yet, some customers experienced leakage from the bottom seams. And since the bag is made out of polyester, it isn’t biodegradable or eco-friendly. These Honest Outfitters bags are BPA free, and easy to move. But since they aren’t that well-made and their handles are known to tear easily, this planter bad did not make the TOP 3. Then there are these cute Smart Pots Containers. These pots will be perfect for using them in a hydroponic system because they are made of a porous fabric that enables water to flow freely while maintaining the medium inside. 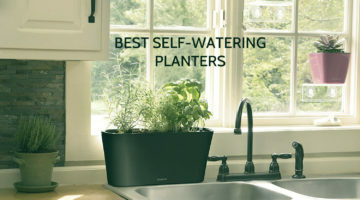 Yet these pots are also quite pricey and will require much more frequent watering. And last but not least, there are these Ming Wei plat bags. They are made out of BPA-free and eco-friendly felt. Aeration for these bags is excellent. And they will help you grow healthy, big vegetables. Sadly, the treading comes out quite easily and thus the bags feel cheaply made, thin and flimsy. What is a grow bag? Grow bags, also called container bags or grow sacks, are lightweight, soft-fabric plant growing plants. They usually either come in the form of canvas planter bags, polypropylene planter bags, polyester planter bags or hemp or burlap planter bags. What’s the purpose of a grow bag? Grow bags or planter bags are excellent and convenient alternatives to ceramic pots or plastic grow bags. They have soft sides and therefore there is less chance of ‘root circling’ when the plants are growing, and the soil gets enough oxygen due to adequate aeration and ventilation that grow bags offer. Additionally, grow tomato bags flatten for easy and convenient storage. And serve as a beneficial tool for gardeners who do not have a permanent garden area. What are the uses of a grow bag? 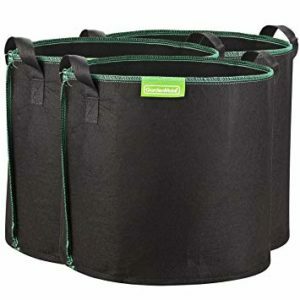 What type of users are the grow bags intended for? Grow bags are particularly useful for gardeners who have limited space or sub-standard soil. They are also useful for people who have land laden with heavy metals from historic mining or industrial use which renders it unfit for growing anything. Before buying a grow bag you should pay attention to things like the bag’s features, functions, parts, price, and usability to find the best product that best aligns with your needs and requirements. Look for a grow bag that will last, since a growing bad should last you 3 to 5 years. 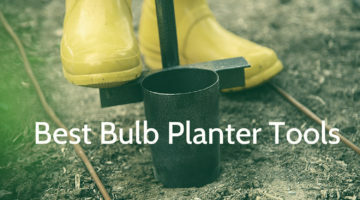 The longevity of a planter bad largely depends on the amount of direct sunlight it receives, how the grow bag is maintained and stored and how often you use it to grow veggies. It is recommended that the fabric bags be washed in between seasonal cycles or crop cycles. Buy a grow bag that is made out of durable and double-layer polypropylene fabric. Such a fabric allows a process called root pruning. The roots grow to the edge of the grow bag and get pruned, encouraging a more extensive root system. Alternatively, look for a grow bag made of fabric that is breathable, drains water exceptionally well, and enables air pruning of plant roots. Air pruning eliminates the risk of root circling and tangling which is bound to happen in ceramic pots. The market is saturated with different products. In general, the larger the size of your grows bag, the costlier it will be. Planter bags that cost less than 20 dollars are usually intended to last a single season and must be discarded post-harvest. However, you will also find some small sized cheap grow bags of better quality at this price point. While for more than 20 bucks you will get a superior quality to grow bag that can be reused multiple times. A grow bag support cane will be the huge help when using a grow bag. By placing these support canes in your grow bag you won’t have to keep your grow bag near a wall or fence. It will stand up on its own and won’t fall over without additional support. These canes are usually made from rust-proof coated steel. They are quick and easy to assemble. And they are extremely useful and cost-effective solution for supporting the weight of the container bag. 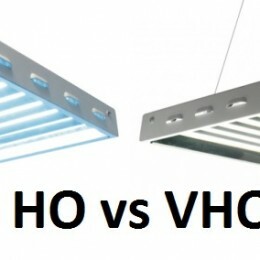 Each grow bag is different, so the way a grow bag is used won’t be similar for all models. 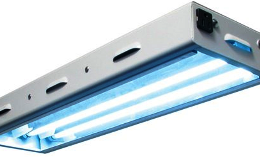 However, a user has to consider few things after purchasing a grow bag for better and more effective use of it. In case of heavy and tall crops that grow up to 8 inches, insert a cane into the bag next to each plant. The tall plants can even be tied to the cane to prevent the plants from toppling over in case of harsh winds or in case the plants become top heavy. Watering a grow bag is a huge challenge. Too much water makes the crop sit in water and too little water dries them out. But if you know that all grow bags dry out much faster than regular plant pots, then watering your plants becomes easier. On top of that, there also are ways to make sure you don’t overwater or underwater your plants. You can, for example, install a drip system, this way the bags won’t run out of the water and will have enough moisture at all times. A bottle drip system or even a pipe drip system would work well. One of the drawbacks of fabric planters or plant pouches is that they do not contain fertilizer-rich soil. So it is important to add natural fertilizers in the potting mix you are going to be using for your potting bags. After harvest, it is recommended to dump out all the soil from your planters and let them dry for a few days. If you are not immediately using the grow bags again, you can just fold them up and store them. And when you do use them again, just wash the bag with peroxide or bleach solution. Let it dry naturally and they are once again ready to be used. If you are an avid gardener who wants to grow even more plants, but you do not have enough space to grow then plants grow bags are the perfect solution for you. These vegetable planting bags for sale are just what they appear to be – thick, breathable and drainable fabric bags for plant growing. They usually come in a cylindrical shape and are available in a variety of widths and heights. Which makes these planters grow bags versatile, flexible, easy-to-manage and convenient alternative to regular plant pots. And if you want to find out how to use plant grow bags and which ones are the best, then look no further than the article above.